Would the Bergoglian Juggernaut Undermine the Case for the Infallibility of Canonizations by Raising Paul VI to the altars? Pope Bergoglio’s rapid-fire canonizations of John Paul II and John XXIII have understandably contributed to growing concerns among the faithful about the reliability of the “saint factory” put into operation during the reign of John Paul II. John Paul canonized more saints, including large batch canonizations, than the previous seventeen Popes combined, going all the way back to 1588, when Sixtus V founded the Congregation for the Causes of the Saints. While Benedict XVI made some effort to slow the output of the factory, it has ramped up production again under Bergoglio, who in five years has cranked out 885 saints, including a batch of 800 Italian martyrs, as compared with 483 saints during John Paul’s entire 27-year reign. Five of these Bergoglian additions have been declared saints without even one verified miracle being attributed to them. Of course, it is undeniable that the Church produces innumerable saints in every age, including martyrs, and that the abundant fruits of the graces she mediates for the elevation of souls to perfection should be recognized in order to edify and encourage the faithful. Canonization, however, is traditionally reserved for those singular cases of sainthood which, after the most careful investigations, are to be held up as models for the veneration of the Church universal because of the particular example each of these remarkable lives provides. It is not only traditionalist commentators who observe that the sheer number of recently proclaimed saints threatens a radical devaluation of the very concept of canonized sainthood. Even Cardinal Ratzinger suggested as much as early as 1989, when he noted that many of those John Paul II had beatified "don't say much to the great multitudes of the faithful" and that priority should be given to those who "truly carry a message beyond a certain group." But now the seemingly imminent canonization of Paul VI, following approval of two purported miracles which, based on the information published, seem decidedly less than miraculous (to be discussed in Part II of this series), has provoked widespread incredulity about the canonization process itself, going even beyond the skepticism that greeted the canonizations of John XXIII and John Paul II. How could the very Pope who unleashed what he himself lamented—too little too late—as a “spirit of auto-demolition” in the Church, including a “liturgical reform” that led to what Cardinal Ratzinger called “the collapse of the liturgy,” the same Pope who wondered how “the smoke of Satan” had entered the Church during his tumultuous reign, be raised to the altars as a model of Catholic virtue for veneration and imitation by all the faithful? To quote The Washington Post: “But for better or worse, Francis’s tendency to bypass the normal channels for certifying miracles is generating friction inside the ancient Vatican walls even as it reignites an age-old debate over the nature of Catholic saints.” That age-old debate is over two questions yet to be answered definitively by the Magisterium: First, is the infallibility of papal canonizations de fide or merely a probable opinion? Second, if canonizations are infallible de fide, under what conditions are they such, given the strict conditions for papal infallibility laid down by the First Vatican Council respecting dogmatic definitions as opposed to acts of canonization regarding particular people in specific historical circumstances? The two questions can be summarized as one: Are we required to believe that someone is a saint simply and only because the Pope has declared him to be so by recitation of the canonization formula, or must the Pope base his decision on the prior investigation of verifiable facts, just as dogmatic definitions must be founded on verification of the constant teaching of the Church preceding the definition? On What is the Claim of Infallible Canonization Based? [The Apostolic See] proposes to the faithful for their imitation, veneration and invocation, men and women who are outstanding in the splendor of charity and other evangelical virtues and, after due investigations, she declares them, in the solemn act of canonization, to be Saints. Thus, John Paul himself preconditions canonization on a prior investigation, even though it was he who, in 1983, issued the Apostolic Constitution Divinus Perfectionis Magister, which largely dismantled the centuries-old investigative machinery for canonization. The result was a “streamlined” process that (a) returns to the local bishop the bulk of the investigation of the candidate, including claimed miracles, without prior permission from Rome; (b) eliminates the fixed adversarial role of the Promoter of the Faith, commonly known as the “Devil’s Advocate”; (c) reduces the perennial requirement of miracles from four­ (two for beatification and two more for canonization) to two (one each for beatification and canonization); and (d) converts the entire process from the traditional and quite rigorous canonical trial on the merits of the candidate into a committee-style review and discussion practically devoid of adversarial character. In any case, canonization must be preceded by some form of reliable investigation of contingent historical facts. That investigation is either by the “ordinary” process, involving the systematic verification of miracles and virtues, or by the “extraordinary” process of confirming the existence of a longstanding legitimate cult surrounding a particular person and an “uninterrupted reputation for wonders” (the so-called “equivalent” canonization) even if the more exacting ordinary process is not applied. Were it otherwise, we would have to believe the absurdity that someone is to be revered as a saint without any prior investigation whatsoever, simply because the Pope says so by means of a recited formula. As an historian of sainthood, my greatest hesitation with the current process stems from the canonizations done by John Paul II himself. While his laudable intention was to provide models of holiness drawn from all cultures and states in life, he tended to divorce canonization from its original and fundamental purpose. This was to have an official, public, and formal recognition of an existing cult of the Christian faithful, one that had been confirmed by the divine testimony of miracles. Cult precedes canonization; it was not meant to be the other way around. We are in danger then of using canonization as a tool to promote interests and movements, rather than being a recognition and approval of an extant cultus. It is the act of canonization that is the infallible act of the pope since, as Thomas argues, it is no mere disciplinary decision, but the quasi-profession of faith in the glory of a saint. It is not the investigation, but the inspiration of the Holy Ghost that certifies this reality for us (Quod. 9, q. 16, ad 1). Popes are not infallible because of the quality of investigations that precede the definition, they are infallible precisely because of the act they perform in the liturgical setting of canonization. Quite simply, if the quality of the investigation has no bearing on the veracity of a canonization, why waste time with an investigation? A Pope could simply implore the inspiration of the Holy Ghost and proceed infallibly even when an investigation is clearly flawed or completely absent. But that sounds more like the work of a gnostic Oracle of Rome than a Roman Pontiff acting according to both faith and reason. The idea that an inspiration of the Holy Ghost is the real guarantee of canonization is certainly not consistent with the way Popes have defined dogmas of the Faith. Of course, the Holy Ghost guides the Church in the matter of dogma, but that guidance has taken place over time as a function of preserving and enunciating the revelation of Christ and the Apostles handed down from century to century, not by momentary ad hoc inspirations. Thus, for example, in defining the dogma of the Immaculate Conception, Blessed Pius IX certainly invoked the Holy Ghost, but he also made absolutely certain that “Holy Scripture, venerable Tradition, [and] the constant mind of the Church” supported the definition. His investigation included the findings of a special commission, consultation with the world’s bishops—who “with one voice… entreated us to define our supreme judgment and authority the Immaculate Conception of the Virgin”—and a consistory of the College of Cardinals called to address the subject. Pius probably would have laughed at the suggestion that only the inspiration of the Holy Ghost (to which he referred at the moment of the definition) and the recitation of the traditional formula ensured the infallibility of his definition, not also the objective and verifiable content of the Faith as confirmed by an exhaustive prior investigation. If such immense investigative care is required for defining as a dogma what the Church has clearly always believed anyway, then how can an adequate investigation of a particular person’s alleged sanctity and miracles, which may be hotly contested, not be crucial to a Pope’s decision to raise him to the altars? In his masterful study of this subject, Prudlo cites the solution proposed by Saint Thomas: that the Holy Ghost insures the reliability of canonizations despite the potential for human error or even outright mendacity on the part of investigators and witnesses. But Thomas argues only that “we must piously believe” the Pope cannot err in canonizing and that “Divine Providence preserves the Church assuredly in such things as may be deceived by fallible human testimony.”  He does not argue, nor has the Church ever taught, that this pious belief is an article of faith not to be questioned or doubted under any circumstances whatsoever. Furthermore, Prudlo himself explains that there are three reasons Thomas concludes that the Pope is unable to err in canonizations: “(1) he makes a thorough investigation into holiness of life; (2) this is confirmed by the testimony of miracles, and (3) the Holy Spirit leads him (for Thomas, the clincher).” But if the guidance of the Holy Spirit is “the clincher,” there must be something to clinch in the first place. And that can only be the case for canonization based on verified holiness of life and miracles following an investigation into both. Absent that investigation into holiness and miracles, sole reliance on the inspiration of the Holy Ghost would appear to be the rashest of presumptions, at least in the ordinary case. Indeed, the same presumption would justify enunciation of new doctrines not shown by investigation to be “the constant mind of the Church,” to recall the words of Blessed Pius IX. In any case, Saint Thomas is not infallible even if he does provide weighty authority for the majority opinion of theologians, at least since the 15th century, that papal canonizations are infallible. Indeed, it is not easy to see how formal papal canonization could be subject to error, as this would undermine the entire canon of saints raised to the altars by pontifical act, expose the Church to the charge that she has imposed error in her universal discipline, and favor the opinion of heretics that the Church demands the vain and blasphemous idolatry of sinners. Nevertheless, the infallibility of papal canonizations has never been defined as a dogma, nor can one find it clearly stated as an explicit doctrine of the universal ordinary Magisterium. For example, as Prof. de Mattei notes in the article cited above, there is no mention of the infallibility of canonizations, nor even a discussion of the prevailing theological view, in the 1917 Code of Canon Law, the 1983 Code of Canon Law or the Catechism of John Paul II. Is it de fide that the Church is infallible in the decree of canonization? This is an open question in the Catholic schools…. St. Thomas places the judgment of the Church in canonization as something between a judgment in matters of faith and a judgment on particular facts, and therefore it would follow that the infallibility of the decree is a pious belief, but nothing more, inasmuch as it only pertains to the faith reductive…. It is de fide that the Church is infallible in the common doctrine of morals; but it is not so certain that the canonization of Saints pertains to the common doctrine of morals…. The Church has never defined her infallibility in this matter to be de fide, neither can we collect it from her practice…. It seems then probable that it is de fide that the judgment of the Church in canonization is infallible; but beyond this assertion of a strong probability we must not venture to go, especially seeing such great names for the negative opinion. It is safer to conclude with the wise and learned Lambertini, that each opinion should be left in its own probability, until a judgment shall issue from the Holy See; for when we are treating of setting up a dogma of faith, says the same careful theologian in another place, we must wait for the judgment of the Apostolic See the mother and mistress of the other Churches, and of the chief pontiff, to whom it exclusively belongs to make definitions of faith, before we venture to brand with the infamous note of heresy those who follow an opposite opinion. Likewise, in his own study of the evolution of the papal canonization process and the correlative view of the infallibility of papal canonizations, Prudlo concludes: “Claims of infallibility do not appear until relatively late in the Middle Ages, usually after the… period of the acquisition of papal hegemony over such cases.” But, he notes, “the seemingly inexhaustible supply of candidates so honored by John Paul II and the rapidity of advancement advocated by Pope Francis for some recent figures have also stimulated current arguments.” To say the least! And that is precisely the point: Current arguments are permissible in keeping with the “origins of the theological and historical debate” Prudlo traces to the Middle Ages. Those arguments will undoubtedly continue on some level unless and until the infallibility of papal canonizations is removed from the realm of probable theological opinion by either an ex cathedra definition or a decisively worded encyclical dedicated to the question. That’s not what I said. I am not denying that the decree issued for a canonization cause is definitive, so it would be rash and indeed unholy to state that the Pope can make a mistake. What I am saying, is that the proclamation of a person’s sainthood is not a truth of faith because it is not a dogmatic definition and is not directly or explicitly linked to a truth of faith or a moral truth contained in the revelation, but is only indirectly linked to this. It is no coincidence that neither the Code of Canon Law of 1917 nor the one currently in force, nor the Catechism of the Catholic Church present the Church’s doctrine regarding canonizations. Of course, I am well aware of that. 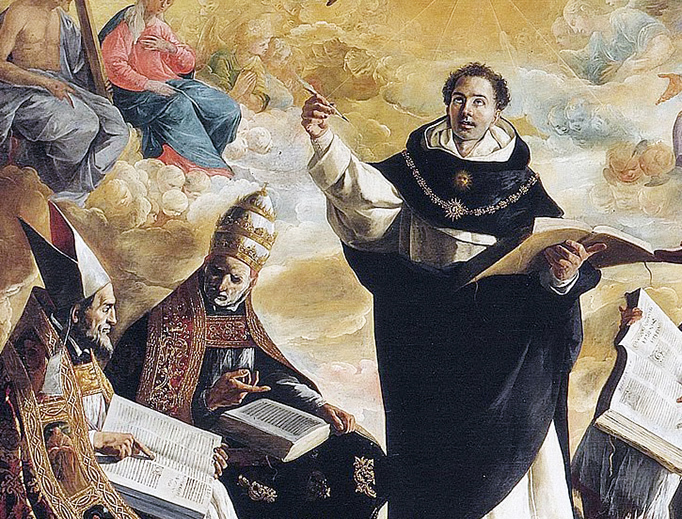 Thomas Aquinas is the most prestigious author supporting this theory. But it should be said that the use of the concept of infallibility and of language relating to it, in a context that is so far from that of the 19th century when the First Vatican Council was held, risks being anachronistic. And what about the words which Pope Benedict XIV, born Prospero Lambertini, used in the “De servorum Dei beatificatione et beatorum canonizazione”, about the non-infallibility theory “smelling of heresy”? His theory is not binding as it forms part of the work he did as a great canonist, but as part of his private studies. It has nothing to do with his pontifical magisterium. But there was a doctrinal text issued by the Congregation for the Doctrine of the Faith in May 1998 which also mentions infallibility in canonizations. Sorry, what exactly is canonization then? It is the definitive and immutable conclusion of a process; it is the final decree issued at the end of a historical and canonic process which relates to a real historical question. To incorporate it in infallibility means extending the concept of infallibility itself way beyond the limits defined by the First Vatican Council. The reader will notice that both Father Faber and Bishop Sciacca, given the still unsettled state of the Magisterium, leave room for a measure of doubt on the infallibility of canonizations as a minority view—a view that would constitute theological error at worst, but not heresy, should the Church ever formally reprobate it by way of a dogmatic definition (after which it would constitute heresy). But they also hold that it would be “rash and indeed unholy” to declare that a canonization is simply erroneous. So, what exactly inhabits the slim lacuna between the permissibility of questioning the infallibility of canonizations and the impermissibility of contesting particular examples as outright papal blunders? This zone of uncertainty seems to arise from the very nature of canonization as the outcome of a prior investigation to determine the existence of historical facts about a particular person, without which canonization cannot occur, as opposed to enunciating doctrinal formulae for the universal Church. Foremost in their minds was the possibility of error as a result of false human testimony. This constantly checked canonists and some theologians from assigning papal infallibility in canonization as a dogma of the faith, especially in the thirteenth century. The problem of canonizing unworthy figures came up repeatedly, causing the papacy to institute all manner of safeguards to ensure veracity and holiness, such as lengthy investigations of life and miracles. In addition to all of these, the possibility of human frailty remained very much in the forefront of theological writings. It was the central argument against the doctrine in the medieval period. How Church thinkers overcame this conundrum is a central key to understanding the creation of general consensus. But what necessity is there for “all manner of safeguards to ensure veracity and holiness,” including “lengthy investigations of life and miracles,” if, as Prudlo argues against de Mattei, “It is not the investigation, but the inspiration of the Holy Ghost that certifies this reality for us” and “Popes are not infallible because of the quality of investigations that precede the definition, they are infallible precisely because of the act they perform in the liturgical setting of canonization”? It is highly significant that, as Prudlo shows, Innocent III is the very Pope who “laid down the pattern that would be critical for the elucidation of the qualitative difference in papal canonizations that would arise after his death”—that is, their infallibility—by “reorienting the canonization process from the papal perspective.” Part of that reorientation is “the necessity of signs and wonders as a signal precondition for sainthood, along with the testimony of a life lived according to the virtues.” Is it really temerarious to suggest that absent proof of true signs and wonders there cannot be a true canonization? It would appear, then, that Prudlo himself has demonstrated that according to papal teaching some reliable form of factual investigation of the candidate for sainthood, confirming both miracles and virtues, is a prerequisite to papal canonization—that is, the Pope’s imposition of mandatory veneration of a saint by the whole Church. Although Prudlo concludes that as the process of papal canonization developed “[t]he Popes clearly believed they were exercising personal infallibility in their decrees of canonization,” the question remains: On what grounds did they base that belief? Surely, the investigations on which they relied must have had something to do with it. That being so, how can the quality of the pre-canonization investigation not emerge as an issue? If the quality of the investigation were irrelevant, would not the investigation itself be irrelevant? In which case, we would be left only with the bare assertion that an inspiration of the Holy Ghost guarantees that no papal canonization will ever be in error so long as the Pope recites the canonization formula “in the liturgical setting of canonization” (to recall Prudlo’s argument contra de Mattei). But that kind of infallibility would have to be distinct from the Vatican I definition, which is strictly limited to the Pope’s solemn proclamation that what the Church has always believed is de fide. Thus, a further definition of papal infallibility, embracing the canonizations of particular individuals based on historical facts, would appear to be necessary to end legitimate debate over the matter. - Could the validity of a canonization, even if it cannot be called an error as such, be doubted if it could be shown that the investigation of the candidate has been compromised by human error, bias or mendacity? - Would a papal act of canonization by way of recitation of the canonization formula during the canonization rite be infallible ex sese (of or from itself) even if there were no prior investigation of the candidate? - If the papal act of canonization is infallible ex sese, is there any necessity for the investigatory process preceding canonization­—developed by the Popes themselves to provide safeguards to ensure the veracity of miracles and the holiness of a candidate; and if it is necessary, why is it necessary? - If a papal act of canonization is not infallible ex sese, then is integrity of the investigatory process preceding it not essential to the claim of infallibility, and if not, why not? These questions can be answered definitively only by the Magisterium. And the need for that answer is urgent. The accelerating operation of the “saint factory” and the clearly expedient move to canonize every Pope since the Second Vatican Council on the basis of increasingly slim evidence, while neglecting or completely forgetting the causes of great pre-conciliar Popes renowned for their heroic virtue and plenitude of undeniable miracles—for example, the cause of Blessed Pius IX—has induced a kind of “canonization crisis” in the minds of millions of the faithful. Is the answer to the crisis blind faith in the infallibility of canonizations, which has never been defined as an article of faith? Or are the faithful permitted to raise today, with greater urgency than ever before, the sorts of questions that have been presented without a definitive answer from the Magisterium since the development of the papal canonization process began? With all of these concerns in view, Part II of this series will consider the problematic character of the alleged miracles attributed to Paul VI as a prime example of why it is reasonable to consider whether the integrity of the investigative process affects the integrity of a canonization, all prior attempts to solve this conundrum notwithstanding. Don't miss the next in this series! Contrary to the scoffing of neo-Catholic commentators who have not troubled themselves with serious research, this reference is not “apocryphal.” It has been cited by no less than Monsignor Guido Pozzo, Secretary of the Pontifical Commission Ecclesia Dei, and is found in Paul VI, Insegnamenti, Ed Vaticana, vol. X, 1972, p. 707. Anthony Faiola, “As two more popes are canonized, a question emerges: How miraculous should saints be?,” Washington Post, April 25, 2014; accessed on February 17, 2018 @ https://www.washingtonpost.com. in Causes of Beatification and Canonization: Study of the Law of 1917 and 1983 (Roma 2015, Pontificia Università Lateranense). Donald S. Prudlo, “Are Canonizations Based on Papal Infallibility?,” Crisis, April 25, 2014; accessed February 19, 2018 @www.crisismagazine.com. Emphasis added. Pius IX, Apostolic Constitution Ineffabilis Deus (1854). Incredibly, this monumental papal document is not to be found among the 76 documents of Pius IX archived on the Vatican website. Donald S. Prudlo, Certain Sainthood, Canonization and the Origins of Papal Infallibility in the Medieval Church (Ithaca: Cornell University Press, 2016), 141; citing Quodlibet, IX, q. 8; Resp. & Ad. 2 (Appendix). F.W. Faber, Essay on Beatification and Canonization (London: Richardson & Son, 1848) 127, 128 (paragraph breaks added.